1 Bdrm Top flr Flat (left). Hall. Living rm. K'ette. Shower rm. Bdrm (CT band - A). Price over £80,000 Entry by arr. Viewing contact solicitors. (EPC band - D). 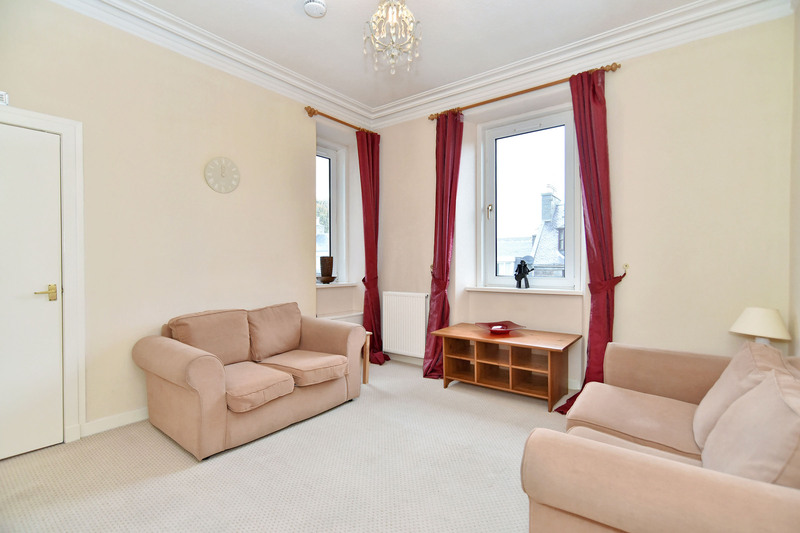 Viewing is essential to appreciate the bright interior of this top floor flat which forms part of a traditional granite building in a popular Rosemount location. 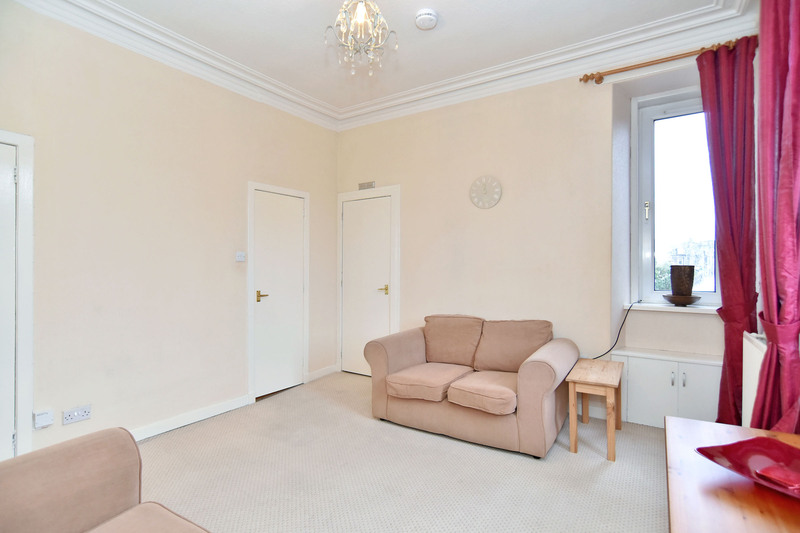 Presented in excellent condition the flat is bright and airy with large double glazed windows in the living room and kitchen which allow an abundance of natural light to flood into the flat. 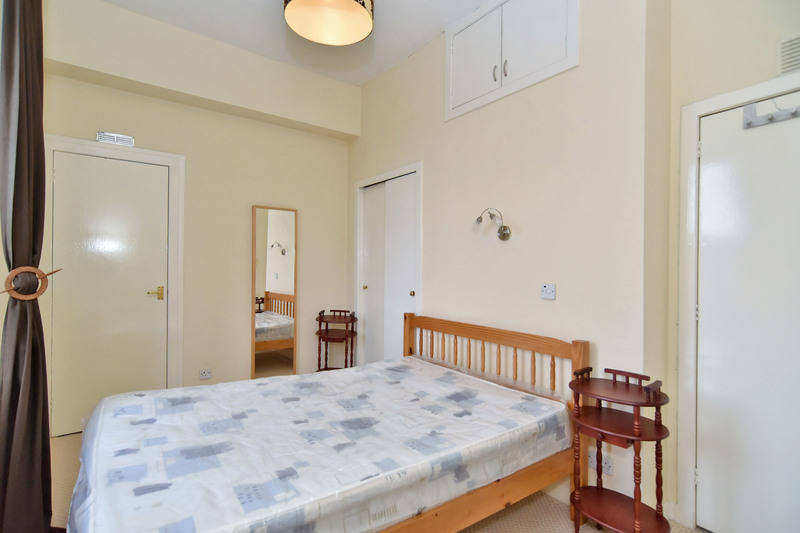 The central hall gives access to all accommodation which comprises: living room with a front aspect; kitchen with appliances; double bedroom; shower room. Heating is provided by a gas central heating system and all windows are double glazed. All fitted flooring, light fittings, blinds and curtains will be included in the sale. location: The property is ideally positioned, convenient for the numerous amenities to be found within Rosemount including a variety of interesting shops and leisure facilities. The Westburn and Victoria parks and Aberdeen Royal Infirmary are all easily accessible while there is public transport nearby. 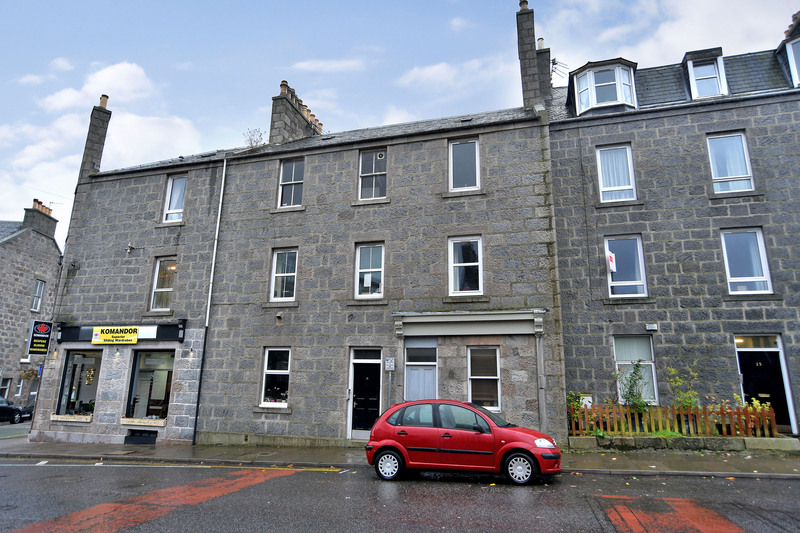 Union Street, only a short walk away offers a range of shops and leisure amenities along with public transport links to most areas of the City including Aberdeen University and Robert Gordon's University. directions: From Union Street travel along Union Terrace to the first set of traffic lights and turn left onto Rosemount Viaduct. Continue over the next set of traffic lights and continue up the Viaduct to a further set of lights turning right onto Rosemount Place. Number 21 has a black door and is a short distance on your right hand side. entrance: Exterior door leads to the entrance and staircase to the upper floors; access to the shared loft which also houses the central heating boiler. hall: Exterior door leads to the hall; built in storage cupboard with further space overhead; pendant light fitting; high level meter cupboard; fitted carpet; radiator. 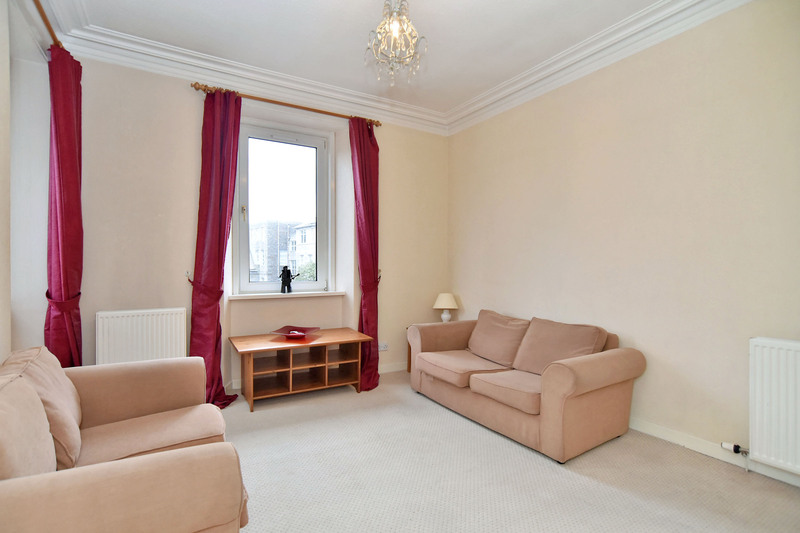 living room: 3.72mx3.52m Bright and airy living room with 2 large windows to the front of the building allowing an abundance of natural light into the room; ceiling cornice; pendant light fitting; built in storage cupboard; fitted carpet; radiator; access to the kitchenette. kitchenette: 1.75mx1.70m Fitted with a Beech effect base and wall mounted cabinets; work surface; wall tiles to dado height; stainless steel sink and drainer with a mixer tap; wall shelf; drawers below wall cabinets; high level storage cupboard; pendant light fitting (no shade); vinyl flooring. 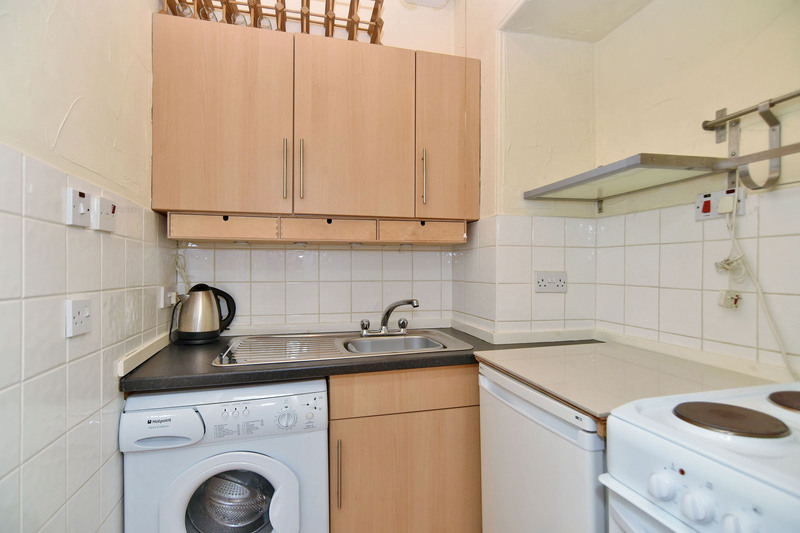 Note The cooker, fridge and washing machine will be included in the sale. 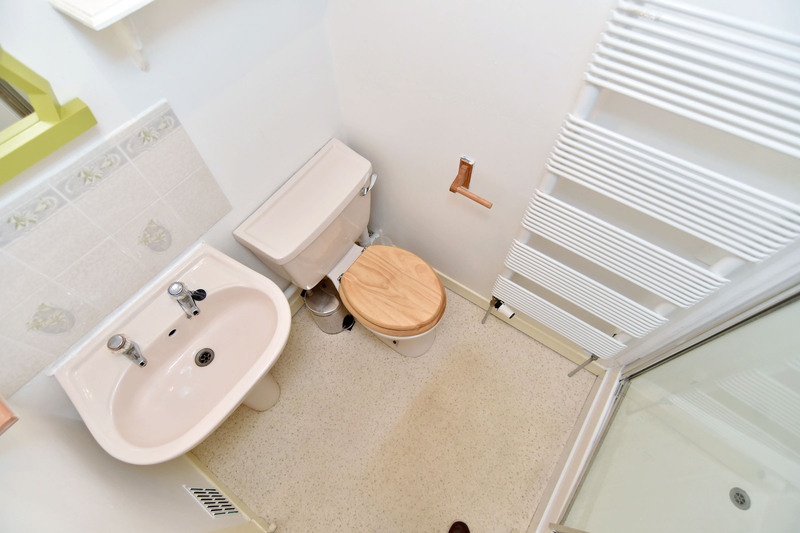 shower room: Fitted with a W.C; sink and pedestal; shower cabinet complete with a mixer shower; wall shelves; extractor fan; pendant light fitting; ladder style radiator. 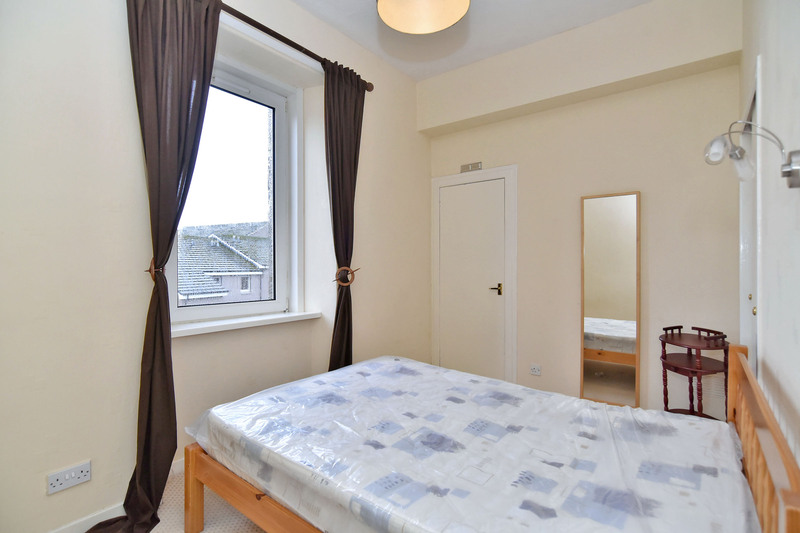 bedroom 1: 2.28mx3.83m Well appointed double bedroom with a rear aspect; built in double wardrobe provides excellent hanging and storage space; further storage cupboard; high level storage cupboard; pendant light fitting; fitted carpet; radiator. 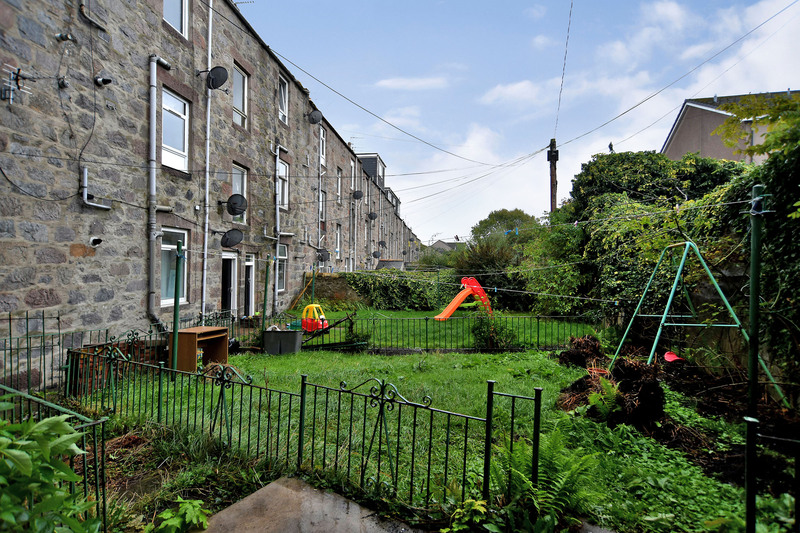 outside: Shared garden to the rear of the building. parking: Residents’ can apply for a parking permit via Aberdeen City council.